We’re pretty much live in a virtual world where we can do almost anything online. We consume our content digitally, book holidays, and even shop in virtual stores. Well let’s be honest, shopping with kids in toe or during a national holiday is horrible! It’s no surprise then that brands are increasingly looking for ways to reconnect with audiences and consumers in inventive ways. In our previous blogs we explored the power of event marketing and experiential marketing as effective ways of building brand engagement and today we wanted to give credit to the unsung hero behind these emotive experiences – technology. Take another look at this list of experiential marketing examples and look at how each of them utilise digital technology. It’s fair to say that without technology most of the amazing experiences that we’ve come to expect wouldn’t be possible. Not only have we – as an event agency – come to rely on technology to achieve the desired outcomes we want, we’d also feel pretty hindered without it. Before we get onto sharing our thoughts on the role of digital technology for events and how it helps us to be more efficient, memorable and mind-blowing I wanted to tell you a bit about my own background. Before moving to SomeBrightSpark, I worked for a creative technology agency who developed digital applications for point of sale (POS) displays, football stadiums, retail experiences and events. I spent over 10 years there designing interfaces, user experiences and working on developing brand experiences, which gave me a great insight into precisely what can be achieved with digital technology. Today, we use our knowledge of technology to create highly engaging experiences, to make processes more efficient and ultimately make interaction more memorable. We’ve worked on a number of interesting pop-up store concepts all of which have relied heavily on technology. One of the more notable projects I have been involved with was a virtual touch-screen wardrobe concept for Oasis. 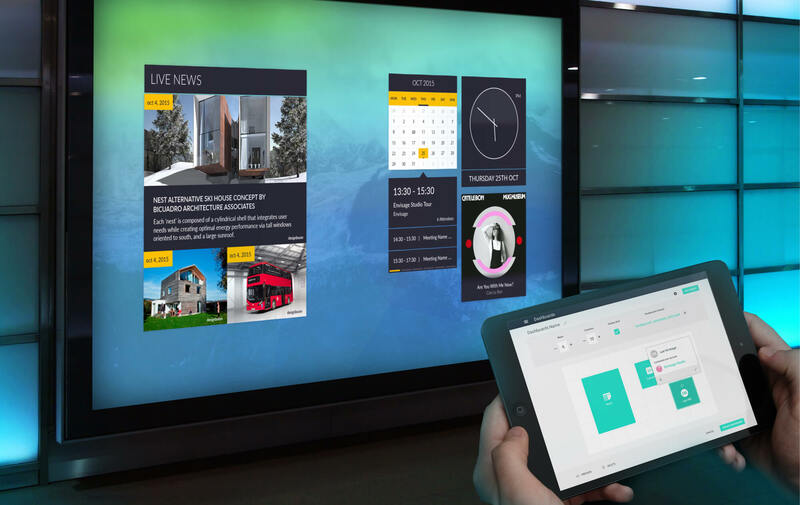 It was created specifically for the Retail Business Technology Exhibition (RBTE) to showcase a future vision for the store. Shoppers were allowed to browse through clothes and accessories to create an entire outfit which could all be sent to a changing room or straight to the checkout. Since then we’ve worked on similar touch screen point of sale (POS) displays that have reinvented the way we shop. These immersive experience aren’t reserved for retailers and big budget events. Technology is also being used more creatively in the workplace to provide interactive workspaces. There’s a recent project we did for Jaguar Land Rover that was specifically designed to help their team of designers share and experience content. We called it the Advanced Design Studio – sounds futuristic for sure. We developed an interactive platform where the designers could project their inspiration, designs, presentations and other content directly onto the walls, making sharing and collaborating that much easier. An interface was designed for the application to allow the teams to easily control it from their ipads. Similar concepts are also in development for other clients and we’re seeing more and more companies commission these solutions to enhance internal communications and working practices. This is where the use of technology gets really creative. In this industry event organisers are striving to create experiences that are going to be unique and distinctive, so – budget allowing – we get to put our creative prowess to good use. One of the most common ways we use technology is to gather data at an event. It’s unfortunately a necessary way of understanding who is attending events and who is interacting with the exhibits. Thanks to cloud technology gathering and recording data is a lot simpler but most people are aware of it and don’t want to give up their personal details easily. When we design exhibition stands we always aim to create a fun (typically technology driven) way of capturing data. Perhaps in exchange for something. Alternatively capturing data prior to an event always you to tailor experience to visitors. For example an exhibition stand that we designed for TAQA included a personalised welcome message that appeared on the screen when visitors arrived checked in for their experience. Although VR sales continue to disappoint it’s precisely because of its small adoption that we find it so fascinating when used at events. Yes it’s a gimmick but it’s still a relatively new experience that most of us would jump at the chance of experiencing. For event organiser and exhibitors VR provides the opportunity to showcase products that are too hard to bring to an event. For example with VR you can test drive a car, visit New York and try out the latest adventure park all without leaving the venue. Thomas Cook and Northface are just two brands that have already used VR successfully to significantly increase in-store revenue so just image what impact VR could have on your attendance figures. There are some more great examples of VR campaigns here. Although digital signage and displays aren’t necessarily ‘innovative’ these days, being creative with digital technology can have a massive impact on the overall effect of your event. Because we like to think of ourselves as digital technology advocates we always keen to design for digital. We rarely stick to using a standard screen format (when appropriate) and we always aim to make content immersive and engaging. This means that we utilise our animation and 3d animation skills at our events to grab attention. Ultimately, we’d always advise using digital signage at your event instead of your traditional printed event signage. It’s far more engaging, can be updated in real time and miles more effective at communicating your event messaging. Near Field Communication (NFC) is not new technology by any means. There are tonnes of examples of NFC being used in creative ways to create highly personalised experiences. Take the Audi City concept store in London. This uses NFC technology to change the image being projected on the screen depending on which colour swatch is selected. When the NFC swatch is placed onto the receiver it triggers the change of the content being displayed on the screen. NFC can also be used to display messages on NFC enabled devices. These have proved successful at being able to entice prospective customers or simply just alert them to an exclusive offer when in range. It might seem creepy but it’s packed with potential for events. The popularity of light displays are increasing. Not only are they entertaining but some light displays that we’ve seen are quite literally out of this world. You may remember the drone display by Intel we featured recently? Well, they’ve done it again, but this time during the opening ceremony at the 2018 Winter Olympics. 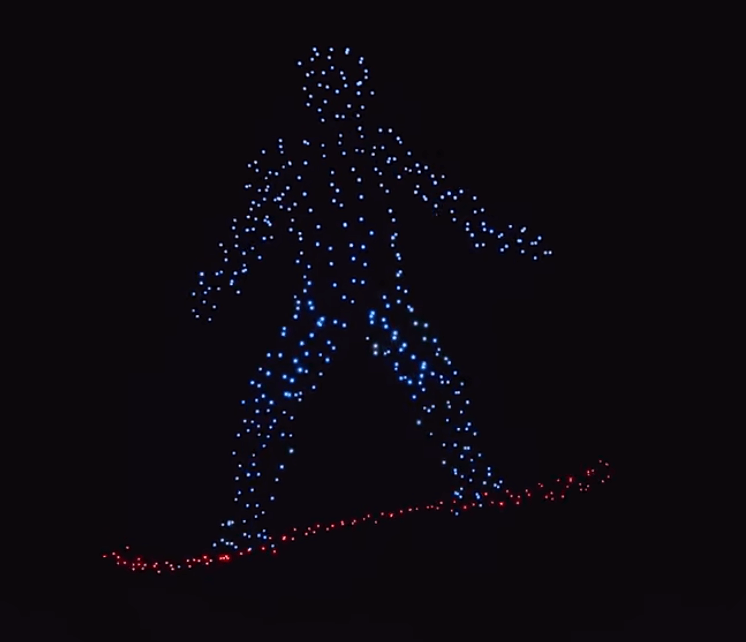 With 1200 drone lights travelling up a snowy mountain they captivated audiences and set a new world record. Applications built for the purpose of automation not only free up human staff but also increase efficiency. There has been a huge increase in the rise of bots. These bots can perform a manner of tasks like taking your details, welcoming visitors and even giving them directional information. (Wayfinder). Eventbots or chatbot is an AI application built to help event attendees by answering questions submitted through SMS, web chat, Facebook Messenger or Twitter DM. The bot is pre-programmed with event data enabling it automatically answer questions. Questions like, ‘where are the toilets?’, ‘when is this talk on?’, and ‘where’s the car park?’ can be answered without human intervention. With up to 80% of event attendees using and these bots at events it’s likely that these are going to get more and more popular. The purpose of this blog was to demonstrate how technology is being used to engage with people. It’s ironic that the very technology that has made us more isolated and distant is now being used to reconnect people. For events technology is pivotal to efficiency and leaving a lasting impression. Of course we can’t talk about the role of technology at events without addressing its role in retail. Retailers are having to build in-store experiences to lure people back to the high street to reconnect with consumers. It’s surprising then that a recent study has shown that UK retailers lack the strategy for instore technology. 2018 is an exciting time to be a designer and it’s even better that i’m in a creative industry. It’s here that I get to exercise crazy concepts that have an ability to change the way people experience brands. Technology can improve the way people share their data and transform the way teams collaborate. And we’re at the forefront of it.